I keep finding strangers in my bedroom. It must have been a good party. 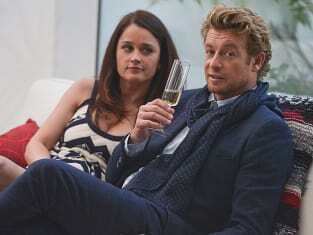 The Mentalist Season 6 Episode 16: "Violets"
I hate to sound immodest, ma'am but I rarely fail. Permalink: I hate to sound immodest, ma'am but I rarely fail. He's alive as long as you're alive to remember him. He lives in you. It's a cliche, I know but it's true. The Mentalist Round Table: "Violets"